When in the presence of musician and all-around Renaissance man T Bone Burnett, it’s hard not to find your head spinning. 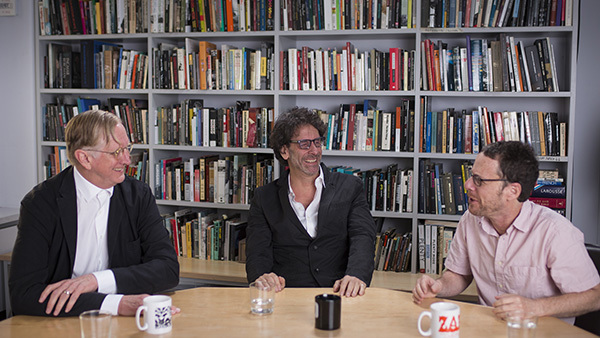 Last week, Joel and Ethan Coen accompanied T Bone to Criterion to talk about the music on Inside Llewyn Davis, and their discussion will be included with our just-announced release of the film. 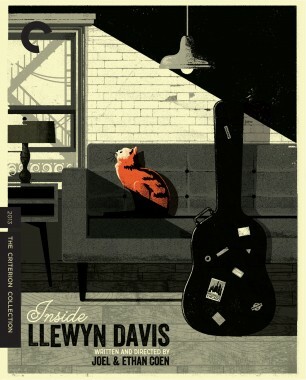 T Bone shares with the Coens an affinity for modern stories framed within a larger historical narrative. Although the intended subject of their conversation was the history of “Fare Thee Well (Dink's Song),” their wide-ranging talk lasted nearly an hour and a half, covering everything from why T Bone worries about nanobots and prefers listening to music on Blu-rays and DVDs to the genius of James Turrell and the origins of folk music. Here are a few choice excerpts from their inspiring discussion. I'm sure it all goes back to Plato, seriously. I'm dead serious about that. I'm sure if you follow “Fare Thee Well” back through the Scotch-Irish tradition, back through Middle English, you probably find it in Ovid, right, going right back to Greece. Because all of these stories have been told before, and usually better than you're telling them. He altered the way I see, permanently. Now I'll be outside looking above some trees, and I'll notice the color of the sky is a deep blue, and the color of the trees is a deep green, and then maybe the trees are lower over here by a few feet, and the sky's a completely different color. Everything shifts as you move that way through life. This is what music is for.